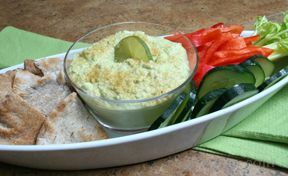 Our collection of edamame recipes includes dips, spreads, appetizers and salads. 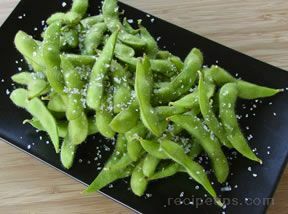 Edamame is a very versatile vegetable that is good for you and full of nutrients. Treat family and friends to one of these recipes that include the protein-packed edamame for healthy eating that also provides a sweet flavor they are sure to enjoy. "Edamame is a soybean harvested while it is still green, which provides a bean that has a mild sweet flavor. They can be served as a side dish, a snack, or used as an ingredient in salads, soups, casseroles, couscous, rice, and pasta. 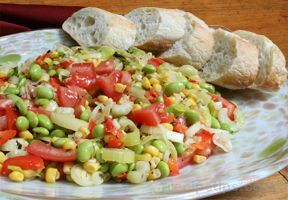 Not only does it provide a mildly sweet flavor to the dishes it is added to but it is high in protein and provide a tender textured bean that can be added to recipes in place of other beans, such as fava and lima beans. As a vegetable dish, the Edamame bean is served steamed in the shell." 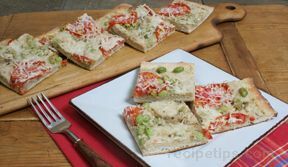 "I am always looking for healthier recipes so I will have to try one of these sometime. The Edamame Salad looks interesting. Might try it this weekend. I will have to search for something else for my husband . . . he doesn't care too much about eating healthy!"